“The smallest act of kindness is worth more than the greatest intention.” Khalil Gibran. Preface: Gratitude is right for you. The Roman philosopher Seneca said, “Nothing is more honorable than a grateful heart.” The Roman senator Cicero remarked, “Gratitude is not only the greatest of virtues but the parent of all others.” Recognize the health benefits of being grateful. Why? Gratitude will lead you to the fountain of hope; it is good for your heart, soul, mind, and practicing gratitude will be beneficial for your life with Parkinson’s. Introduction: In the backdrop of having a chronic disorder like Parkinson’s disease, it is easy to get trapped and driven down emotionally from its daily burden. Life happens, and we are continually making micro- and macro-decisions, big and small changes in direction, and it seems to me the list grows with time. Today’s post is centered on gratitude, not to complicate your life, but as a reminder that being thankful can improve your health all on its own. Gratitude Defined: [grat·i·tudeˈɡradəˌt(y)o͞od/] Gratitude is from the Latin word gratus, meaning “pleasing” or “thankful,” Words from the Latin gratus have something to do with being pleasing or being thankful. To feel grateful is to feel thankful for something. Gratitude is a feeling of thankfulness (Merriam-Webster). Thank you in several languages is shown below (image credit). Studies on Gratitude and Health: Doing a PubMed search for “Gratitude” reveals >1000 papers/chapters/books; searching for “gratitude and health” shows >500 citations. Outside of PubMed, there are numerous magazine/newspaper/journal articles describing the health benefits of being thankful (having gratitude). In the end, I will list several for your further viewing/reading. Here are some highlights linking gratitude and a better life. Blessings vs. Burdens- In 2003, Emmons and McCullough published a landmark study of gratitude and well being entitled “Counting Blessings Versus Burdens: An Experimental Investigation of Gratitude and Subjective Well-being in Daily Life.” They described 3 experiments, two groups were healthy college-aged students, and the third group was adults with various neuromuscular disorders. Within each separate study, some subjects were asked to maintain a journal on a weekly basis for 10 weeks, and others on a daily basis for 2 or 3 weeks. They all kept records of both positive and negative effects they had experienced; including their behavior coping with these events (health behavior and physical symptoms), and their overall appraisal of life. Subgroups from each study were asked to focus their journal entries on different things: (Group A) this group recorded things for which they were grateful (they were “counting their blessings”); (Group B) this group recorded things they found irritating and/or annoying (they were “counting their burdens”); and (Group C) this group recorded things that had a significant impact on them. After compiling the data from the 3 experiments, two trends stood out. (1) The participants from ‘Group A,’ those recording things for which they were ”grateful,’ showed much higher levels of well-being compared to Groups ‘B’ and ‘C’; and this was particularly evident when compared to those recording events that were ‘annoying or irritating.’ (2) The positive effects of gratitude in the 10-week study, compared to the 2 or 3-week studies, showed not only better well-being; these participants also showed social and physical benefits. Feeling Happy- In a separate study from 2002, McCullough et al. reported that recording your blessings on a regular basis was linked with increased happiness. In an independent survey, Kurtz et al. (2008) showed that this feeling of joy through gratitude was sustained for several months. Optimism– A study by Overwalle et al. (1995) found a definite link between the ability to express gratitude and the feeling of well-being; suggesting these individuals had an improved/optimistic outlook of their future. Strengthening Bonds and Building Relationships- The link of happiness from gratitude was shown to increase bonds, enable friendships, and support social networks. The results from Reynolds (2008) showed that by practicing gratitude, participants felt more cared for/loved by others. Mapping Neural Networks of Gratitude- In a 2015 paper entitled “Neural correlates of gratitude,” Fox et al. used magnetic resonance imaging (MRI) to map the effect of gratitude in volunteers. They tested a hypothesis that gratitude activity would be linked to brain regions associated with moral cognition, value judgment, and theory of mind. Their results showed that gratitude was correlated with brain activity in the anterior cingulate cortex (ACC) and medial prefrontal cortex (mPFC), which supported their hypothesis (see drawing below). A Squeeze of Serotonin- Serotonin is an elixir that boosts our mood, enhances will-power and eliminates self-doubt. The anterior cingulate cortex (ACC) releases serotonin (i) when we write about gratitude and (ii) when we reflect on the positives in our lives (and our work). Gratitude Promotes the “4H Club” That Includes Happy, Healthy, Heartfelt, and Hopeful: I am neither a psychologist nor a neurologist, but I truly enjoyed reading the Emmons and McCullough (2003) paper described above (“Counting Blessings Versus Burdens: An Experimental Investigation of Gratitude and Subjective Well-being in Daily Life”). First, it was well-written and easy to follow. Second, they asked and answered some fundamental questions linked to gratitude. Clearly, their work was preceded by other studies; however, their results likely provided a foothold for others to launch their ideas about how gratitude influences the human condition. In summarizing many studies, the folks at Happier Human (What About Happiness?) posted an amazing article entitled “The 31 Benefits of Gratitude You Didn’t Know About: How Gratitude Can Change Your Life” (click here) along with the figure below showing the enormous overall impact of gratitude on human happiness (credit). Remember, I am not a psychologist. However, I felt that four significant themes could be used to represent the positive impact of gratitude. Borrowing from the ‘4H Club’ name, the benefits of gratitude could make someone Happy, Healthy, Heartfelt, and Hopeful (see Figure below). And there are numerous studies to support the positive impact of gratitude on these four aspects of life (see references cited at the end). Very fortunate to have Susan in my life, look forward to catching up soon. Benefits of Gratitude and Health in the Presence of Parkinson’s: The anterior cingulate cortex (ACC) and medial prefrontal cortex (mPFC) of the brain are the key components that respond to gratitude. There is no doubt that people-with-Parkinson’s experience the benefits of gratitude and the 4H’s (Happy, Healthy, Heartfelt, and Hopeful). 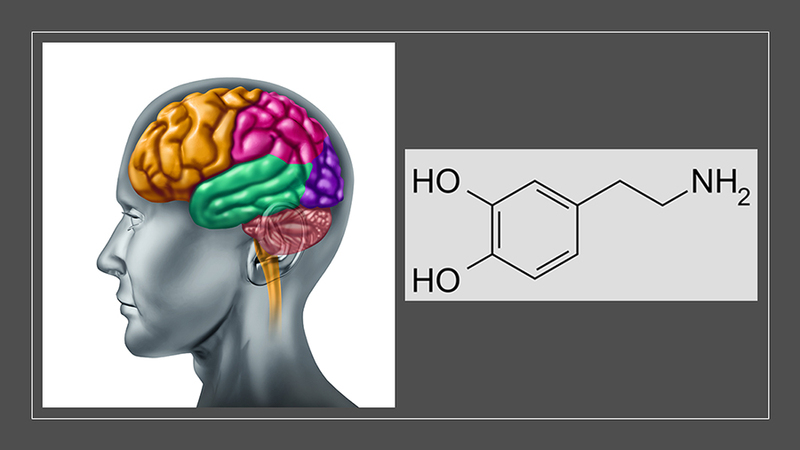 However, the ACC communicates with the basal ganglia, which implies some role for dopamine. Thus, we must believe we still synthesize enough dopamine to realize the positive effects of gratitude (well, this is what I think). In closing, as I said at the start, I am convinced that gratitude will lead you to the fountain of hope; it is good for your heart, soul, mind, and practicing gratitude will be beneficial for your life with Parkinson’s. May you continue to be thankful. May the positive effects from gratitude provide you a constant source of happiness and good health that are reinforced by heartfelt feelings and hope for years to come. Emmons RA, McCullough ME. Counting blessings versus burdens: an experimental investigation of gratitude and subjective well-being in daily life. Journal of personality and social psychology. 2003;84(2):377-89. Epub 2003/02/15. PubMed PMID: 12585811. Fox GR, Kaplan J, Damasio H, Damasio A. Neural correlates of gratitude. Frontiers in psychology. 2015;6:1491. Epub 2015/10/21. doi: 10.3389/fpsyg.2015.01491. PubMed PMID: 26483740; PMCID: PMC4588123. The 31 Benefits of Gratitude You Didn’t Know About: How Gratitude Can Change Your Life (click here). McCullough ME, Emmons RA, Tsang J. The grateful disposition: a conceptual and empirical typology. J Pers Soc Psychol. 2002;82:112–127. Kurtz JL, Lyubomirsky S. Towards a durable happiness. In: Lopez SJ, Rettew JG, eds. The Positive Psychology Perspective Series. Vol 4. West-port, CT: Greenwood Publishing Group; 2008:21–36. Overwalle FV, Mervielde I, De Schuyter J. Structural modeling of the relationships between attributional dimensions, emotions, and performance of college freshmen. Cognition Emotion. 1995;9:59–85. 7 Surprising Health Benefits of Gratitude (click here). Martins A, Ramalho N, Morin E. A comprehensive meta-analysis of the relationship between Emotional Intelligence and health. Personality and Individual Differences. 2010;49(6):554-64. doi: https://doi.org/10.1016/j.paid.2010.05.029. Alspach G. Extending the tradition of giving thanks recognizing the health benefits of gratitude. Crit Care Nurse. 2009;29(6):12-8. doi: 10.4037/ccn2009331. PubMed PMID: 19952333. Emmons RA, Crumpler CA. Gratitude as a Human Strength: Appraising the Evidence. Journal of Social and Clinical Psychology. 2000;19(1):56-69. doi: 10.1521/jscp.2000.19.1.56. Ma LK, Tunney RJ, Ferguson E. Does gratitude enhance prosociality? : A meta-analytic review. Psychological bulletin. 2017;143(6):601-35. Epub 2017/04/14. doi: 10.1037/bul0000103. PubMed PMID: 28406659. 7 Ways to Boost Your Gratitude (click here). Reynolds DK. Naikan Psychotherapy: Meditation for Self-Development. Chicago, IL: University of Chicago Press; 1983. O’Connell BH, O’Shea D, Gallagher S. Feeling Thanks and Saying Thanks: A Randomized Controlled Trial Examining If and How Socially Oriented Gratitude Journals Work. Journal of clinical psychology. 2017;73(10):1280-300. Epub 2017/03/07. doi: 10.1002/jclp.22469. PubMed PMID: 28263399. Sirois FM, Wood AM. Gratitude uniquely predicts lower depression in chronic illness populations: A longitudinal study of inflammatory bowel disease and arthritis. Health psychology: official journal of the Division of Health Psychology, American Psychological Association. 2017;36(2):122-32. Epub 2016/10/28. doi: 10.1037/hea0000436. PubMed PMID: 27786519.